Thanks so much to all who voted in the Avatar challenge ! Thanks to all who voted in the Avatar challenge. I’m stoked that my entry Rope and Reel 3 was chosen. It’s a great honour ! Thanks so much to all who voted for Lorne girls get run over by Rosebud in the “Dangerous Pleasures” challenge. I am stoked to have won and to be the featured member. It’s a big honour when I compare my works to some of the amazing ones in the group. 2 features in the same group for the same week ! Wow, I’ve really hit the jackpot this time. The “Major Event” group has featured 2 of my shots this week. “Faces in a sea of pink” was taken at the Field of Women 2010 event at the MCG. 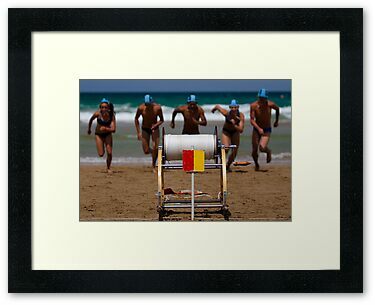 “Anglsea incoming” was taken at the Anglesea IRB carnival. Thanks to the crew at Major Event !!! Thanks also to the “Photography 101” team for featuring “St Kilda gets a shower” ! Wow, 2 features within 24 hrs ! Thanks heaps ! Wow. I haven’t posted a lot in here lately, because my shooting time has mainly been kids sports recently and that’s not really suitable for this site. But in the last day or so, two of “my” images have been featured. “Pink Lady”, my 12 year-old daughter’s work was featured in “Going Coastal”, which is a great tribute to all those people who have been touched by Breast Cancer"
Featured in "From the cockpit"
Away for the weekend and two features waiting ! Wow, I go away for the weekend and look what happens ! When I got home, I found that "Beach, River and lake Treasures was featuring “Safe on the beach” and “Australia- from the Outback to the Coast” was featuring “Rope and Reel 3” !! Thanks to the hosts of both groups for the honour ! Big thanks to the anonymous buyer ! 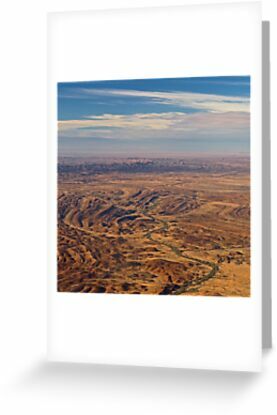 A big thanks to the anonymous buyer who grabbed 2 cards of “Venus Bay gets some big air”. I hope you enjoy them and again, thanks for the encouragement. My picture of space junk at William Creek has been featured in “Night or low light” ! A huge thanks to John and the crew over there for the feature ! Featured in "Australia! You're standing in it..."
Avatar of the month ! 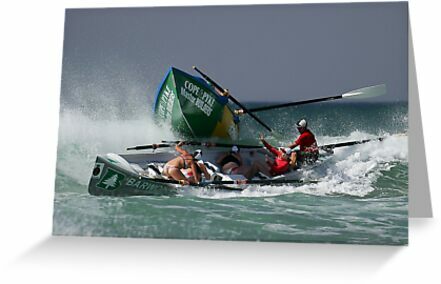 I know the month is half over, but I’ve been away and only realised last night that one of my shots (“Jan Juc power through a wave”) has been made Avatar of the month for March in the “Water Sports” group ! Thanks to Ken and the crew over there for the huge honour ! A huge thanks to Fourthangel and the crew over at Weekend Photographer for featuring my work “Rope and Reel 3” !! Wow. Overnight, two more of my images have been featured, both in the “Going Coastal” group. A big thanks to E.R ! “Because not everyone makes it” is a tribute to the Geelong Juggernauts, a support group for Breast Cancer survivours. Please pop over and have a look and see the full story. One of my silhouette series, ’Fedding out the lines" has been featured in “The Weekend Photographer” ! “That’s Mine !” was featured in Major Event today ! Thanks so much to Jane, the host over there ! Today one of my images was featured in “From the Cockpit” ! Thanks again Baz ! It *really* must be my week..more features ! It must be my week..another feature ! One of my beach flags pictures That’s Mine was featured in The Geelong Throng group ! Wow..what an honour…my image Beach Flags – Mordialloc vs Anglesea made it to the redbubble featured art page today ! Thanks all who’ve looked and commented so far. Hope you like what you see.